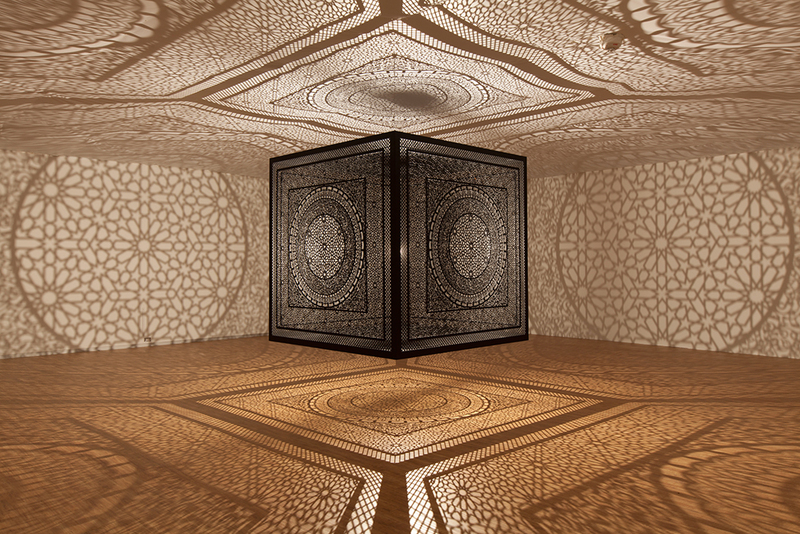 Anila Quayyum Agha, Intersections at Dallas Contemporary , 2015. Photographed by Kevin Todora. Courtesy of ArtPrize Dallas and Dallas Contemporary. 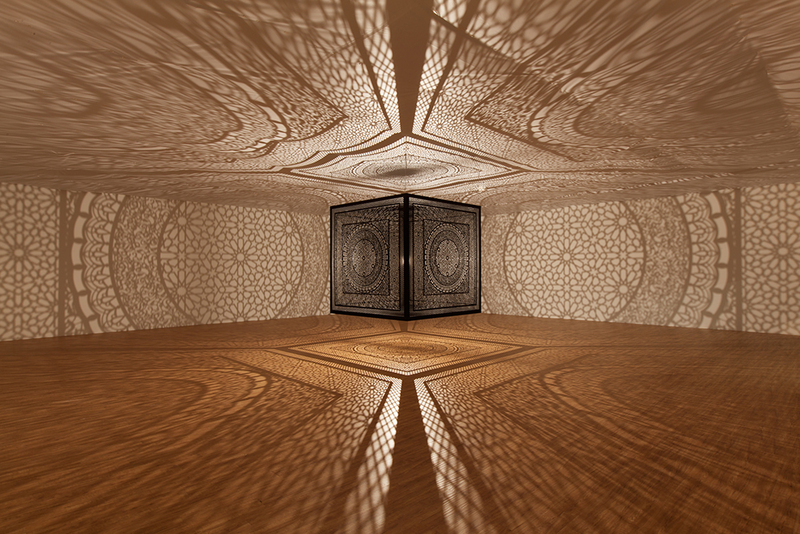 ArtPrize* winner Anila Quayyum Agha’s installation Intersections transforms the gallery into a spiritual space for contemplation. 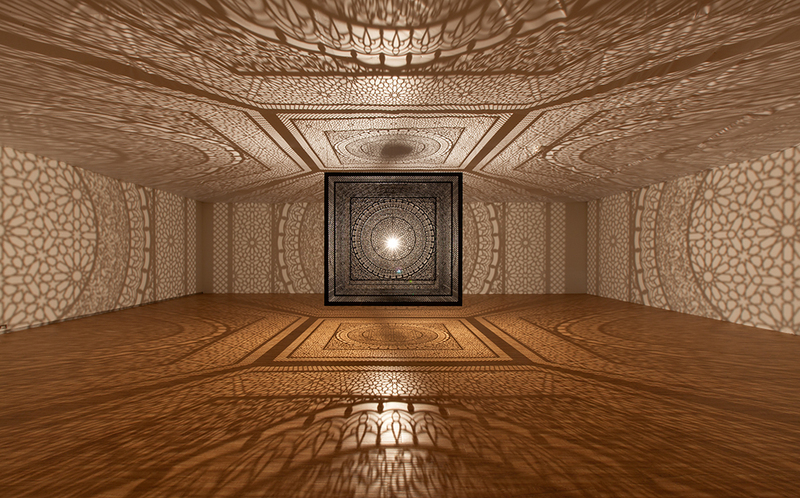 Inspired by a trip to the Alhambra Islamic Palace in Spain, the artist uses light to generate intricate reflected patterns covering the walls, ceiling and floor. The exhibition title refers to a point where the East meets the West. Given the current state of religious animosity in the world, Agha’s notion of a non-denominational sacred community seems to be a utopic unreality. Although beautiful and tranquil, the gallery architecture did not offer visitors a means to thoughtfully meditate or pray. Courtesy of ArtPrize Dallas and Dallas Contemporary.